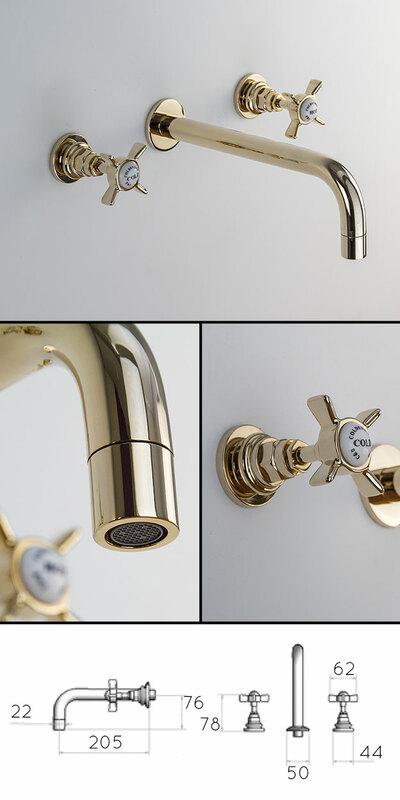 This lovely quality wall mounted gold basin tap is Italian manufactured and superb European quality. 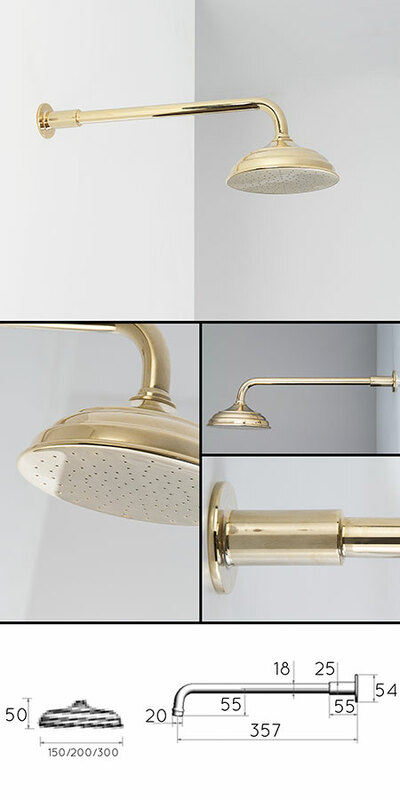 Each bathroom mixer tap is made of solid brass with a thick gold plated finish and is an ideal design choice for luxury bathrooms in a traditional style. * Solid brass with gold finish.